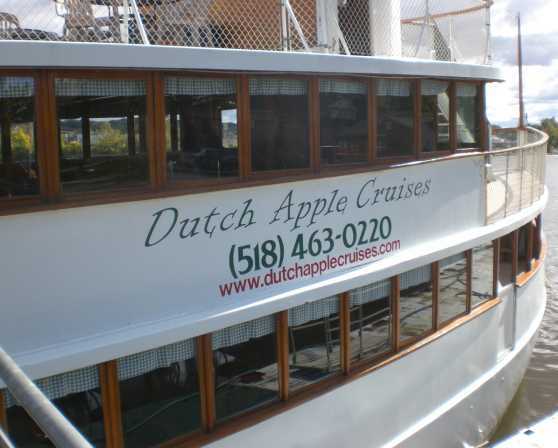 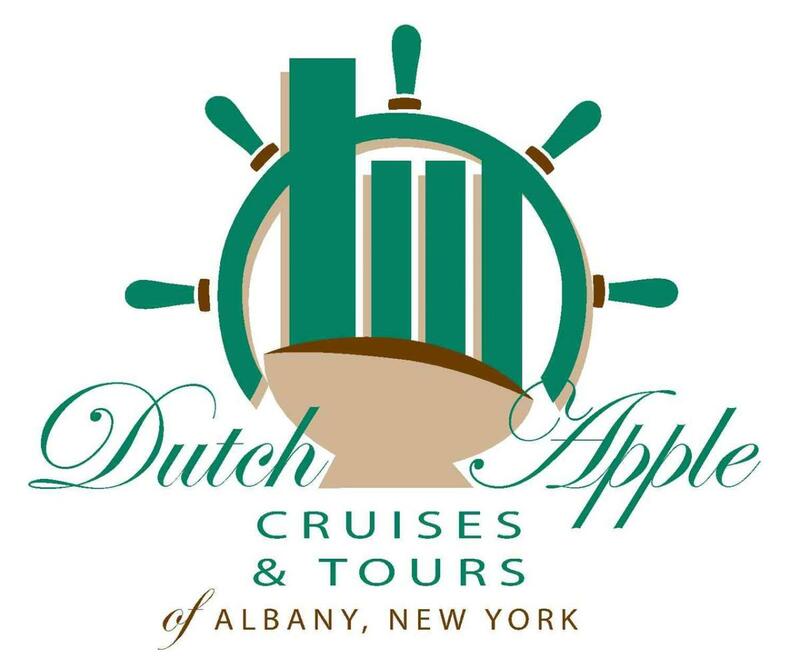 The “DUTCH APPLE II” is a modern vessel with a capacity of 150 people. 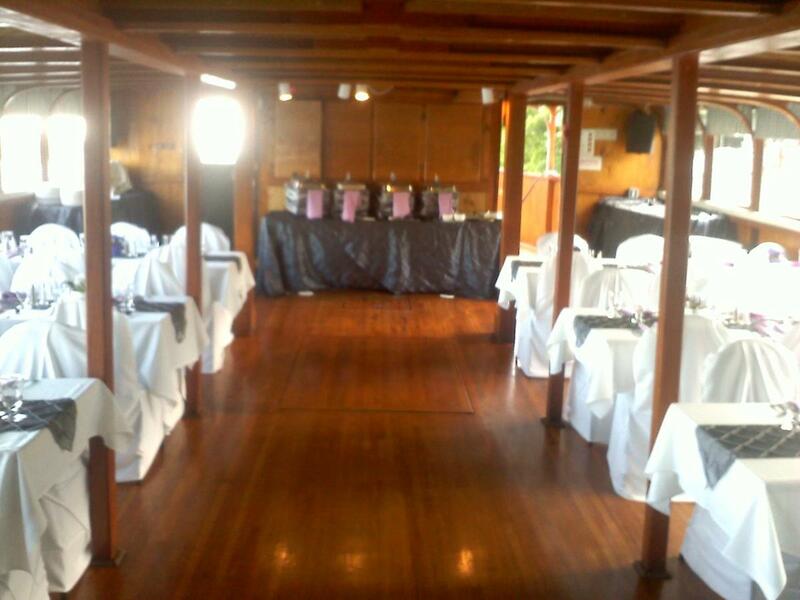 The middle deck area is enclosed, offering a full bar, tables and of course a dance floor where our entertainment is performed. 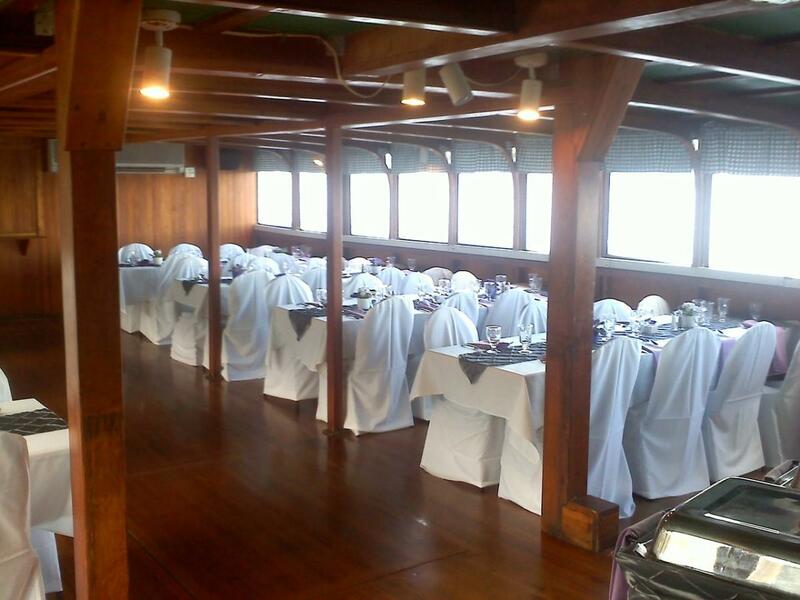 The upper deck is open and has tables and chairs. 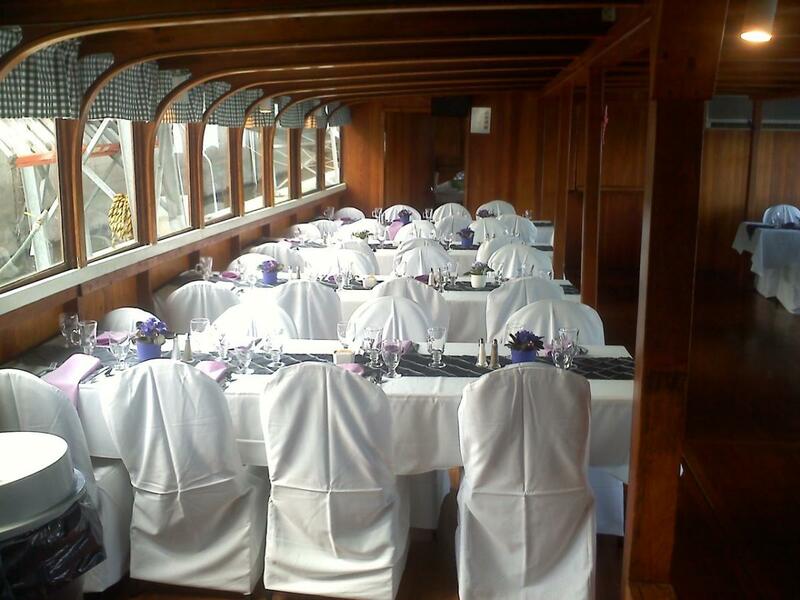 The lower deck is fully enclosed with two restrooms, buffet area and seating for seventy people. 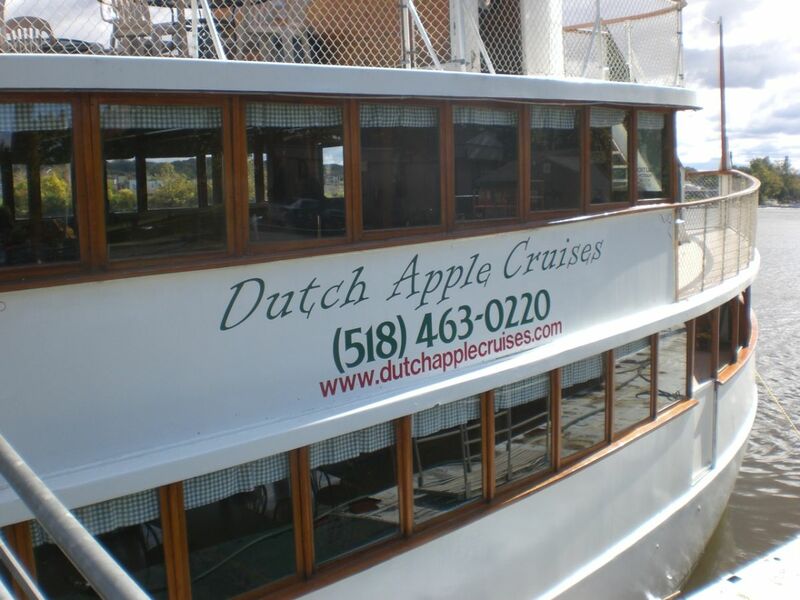 The two fully enclosed decks are equipped with air-conditioning and heat. 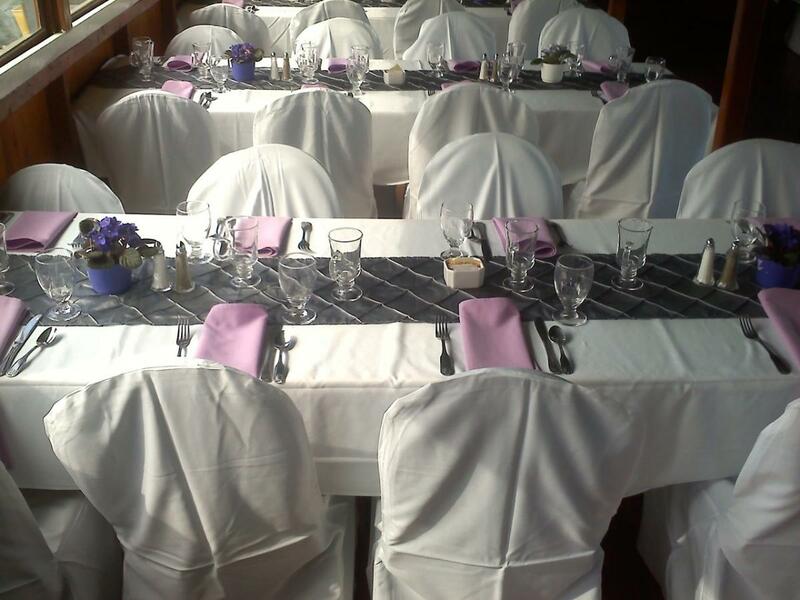 Catering, entertainment and bar services are available.